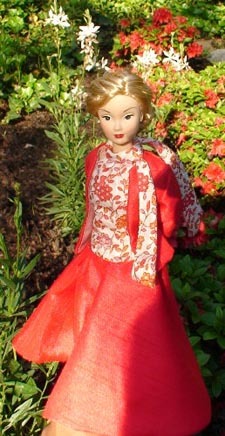 Susie made her debut in the Fall of 2003 from the creative duo Rudi Teruel and David Wu of R&D Fashion Dolls of Taiwan. Susie is a fashion designer/model whose fashions -- up-to-date but with ethnic and traditional influence -- showcase her world travels. 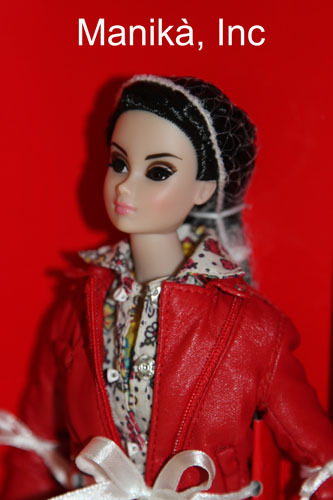 The Susie pictures on this page are used with permission from R&D. .
Susie has become a part of Integrity Toy's "Dynamite Girl" line with the release of "Electro Pop" Susie. 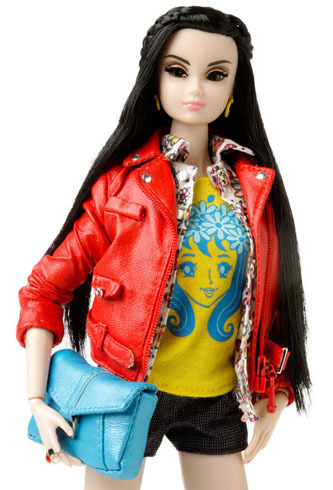 Joint Exclusive of Integrity Toys Direct and R&D Fashion Dolls of Taiwan (2014). 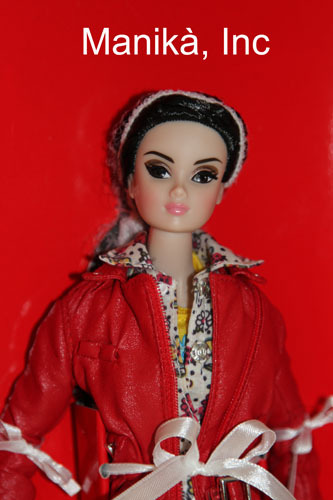 Part of the "Love Revolution" of the Dynamite Girl line by Integrity Toys. 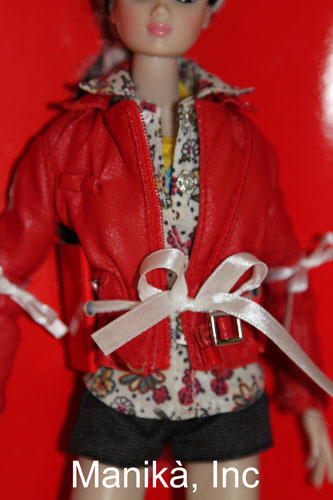 Sweet Freedom Susie comes with a red leather-look jacket, floral print blouse, yellow shirt with a graphic print of a girl's face, and black shorts. Accessories include a pair of black boots with side buckles and turquoise blue clutch bag. 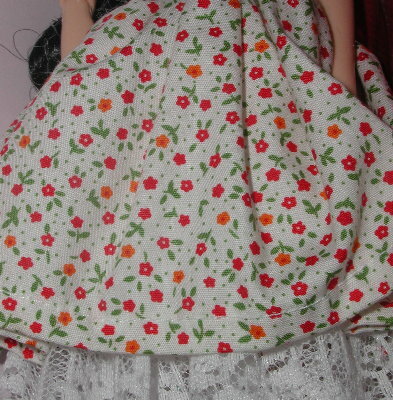 The doll has long black hair. Exuding peace, simplicity and contentment, Susie...Arcadia is a tribute to our mother. 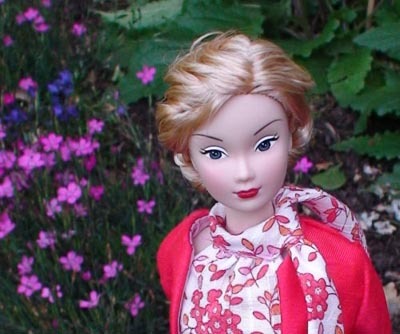 Blonde-haired Susie (formerly Sydney Symphony) restyled by Rob Thompson of Robsdolls in fashion by R&D Fashion Dolls. 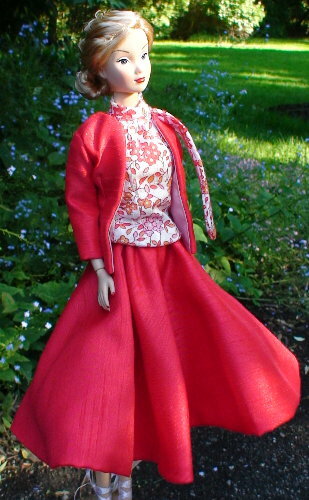 Features fully lined red linen suit and halter blouse with attached neck scarf. Includes white lace-up sandals. Comes with original doll stand, doll box and certificate of authenticity for Sydney Symphony. First offering in "Eastern Retro Collection"
Second offering in "Metropolitan Asia Collection"
Brown-haired Susie in a Chinese-inspired ensemble in shantung silk: sleeveless lavender blouse and loose, wide-leg pants in dark blue with lavender hems and a long-sleeved lavender topcoat featuring a Chinese collar and asymmetric flared skirt with blue trim along the sleeves, hemline and collar. Also included are matching lavender and blue purse with metal bar handles, lavender slip-on mules, and a porcelain tea set. Brunette Susie in halter dress with black zebra-print pattern, choker necklace and lace-up sandals. It also comes with lingerie and a stuffed dog in a mesh bag. Brunette Susie in halter dress with black and white geometric-print pattern, choker necklace and lace-up sandals. It also comes with lingerie and a stuffed dog in a mesh bag. Price includes U.S. shipping (international extra). Order total will be adjusted after checkout. Exuding peace, simplicity and contentment, Susie...Arcadia is a tribute to our mother. 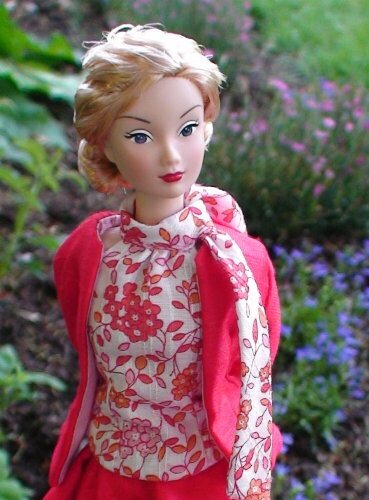 This fashion by R&D Fashion Dolls features a fully lined red linen suit and halter blouse with attached neck scarf. Includes white lace-up sandals.